It is grilling season…sort of (sigh). Vancouver has been fairly gloomy for summer so far, but there was about an hour of sunshine so I decided to bbq during it. I’ve been trying to think of different ways to incorporate rolled oats into our food as they are supposed to boost your metabolism, and my metabolism needs a boosting. So I decided to give turkey burgers a go. 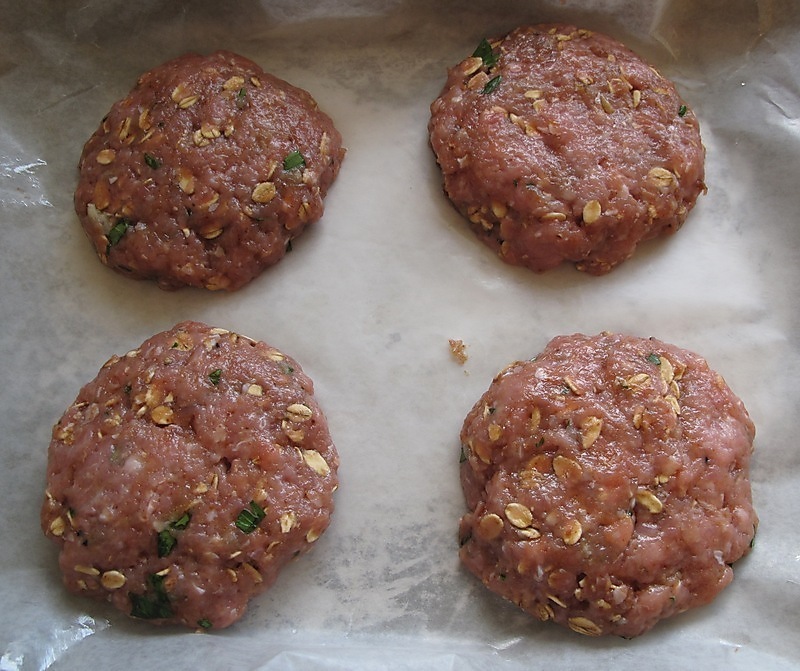 This was honestly my first try at making burger patties by hand. They turned out full of flavour but in a subtle way, which was quite pleasing. 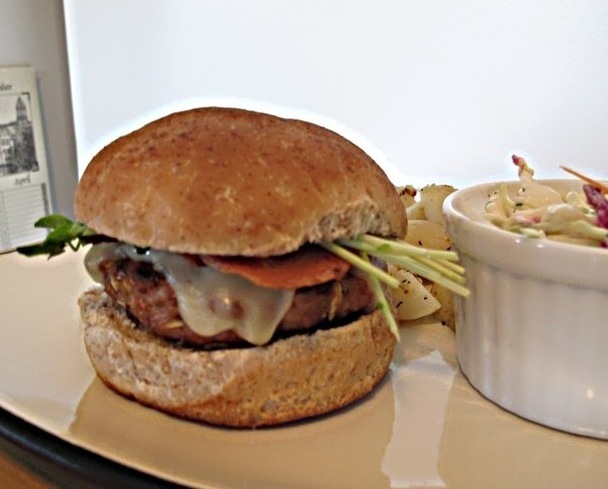 I dressed my burger on a whole wheat bun with turkey bacon, a mozzarella slice, mayo, dijon mustard and pea shoots. Yum! 1. In a bowl stir in egg white to ground turkey gently with a fork, then stir in olive oil, worcestershire sauce and minced garlic. 2. Gently stir in remaining ingredients. Be careful not overwork mix. This entry was posted in Grilling, Mains, Turkey and tagged bbq, burgers, Recipes, turkey by Karina. Bookmark the permalink.